To me, this fight is a classic case of how the alphabet-soup proliferation has cheapened the authenticity of genuinely important boxing moments. 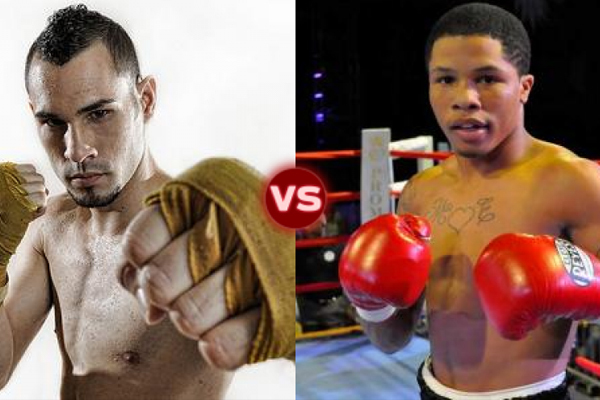 Jose Pedraza vs. Gervonta Davis should be looked at as an important clash between two undefeated, rising contenders. But according to the IBF, Pedraza is the world champion at super featherweight, making this a world championship fight. That, of course, is promotional hype. Pedraza has defeated nobody worth calling him a world champion. And I would actually argue that he lost to veteran Edner Cherry, when he escaped with a split decision in October 2015. There is no true champion at 130 pound, but the division’s other belt holders, Vasyl Lomaechenko, Francisco Vargas and Jezreel Corrales all have at least good arguments for being ranked in the top three. By contrast, Pedraza in the lower end of the top 10. He’s a contender. But not a top-five contender. Davis is not even in the top 10 at this point, based upon resume. Based upon potential, he is one of the more interesting young fighters in the sport. He is the class of the Floyd Mayweather promotional stable. Davis turned professional in 2013, at age 18. So far, he is 16-0 with 15 KOs. At 5’6″, he is compact and explosive. Davis knocked out former title-hold Cristabal Cruz in October 2015–that hardly means what it meant back in 2010, of course. Cruz has spent the past half-decade being a guy who gets knocked out by rising contenders. Both Davis and Pedraza have defeated solid, established professional fighters. They have established themselves as true, legitimate contenders. This winner of this fight will stake a solid claim for placing himself in the higher end of the division. A win for either man Saturday night could put him in line for a pretty nice fight, his next time out. For a true boxing fan like me, that kind of legitimacy means a lot more than any ersatz belt.